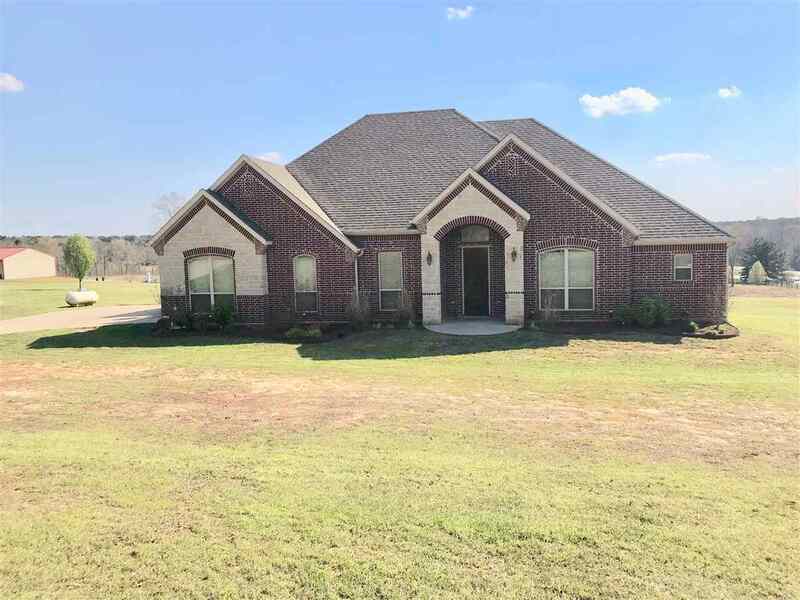 Beautiful 2800&apos; energy efficient luxury 4/3 home loaded with "high-end" features on 2+ acres in QCISD! QUALITY is the first impression when approaching the 8ft rustic wood Spanish front door. Entering into the formal foyer is a visual feast with arched entryway, high vaulted ceiling, chandelier, custom stained/polished concrete floors that flow into the massive open-concept den/kitchen/living area that is flooded with natural light and features a stonecast fireplace w/gas igniter. The kitchen is a gourmet chef&apos;s delight! Equipped with a propane gas range w/mounted pot filler. Double stainless convection ovens, walk-in pantry, granite counters, brick backsplash make this grand central for cooking and entertaining! Amenities galore...too much to list! This is a "must see"!